PRODUCT: 18" PAINT TRAY. 22" WIDE X 3" DEEP X 14.5 LONG. 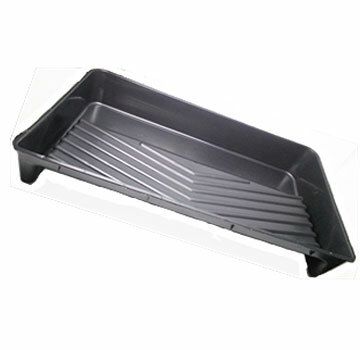 BLACK COLOR REUSEABLE TRAY ACCOMODATES ALL STANDARD 18" WIDE PAINT ROLLERS. PRICE/EACH.